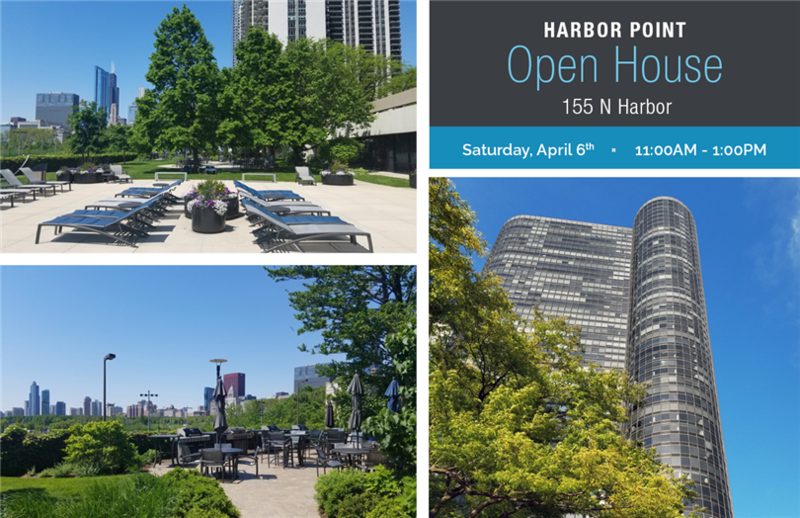 Come see five breathtaking units at Harbor Point. One of the most iconic buildings in the New Eastside. We have four 1 bedroom units and one 3 bedroom unit available to be toured during this open house. Take advantage of everything this building has to offer: 24-hour door staff, indoor pool, Health Club, basketball and racquetball courts, grocery store, cleaners, and an oversized patio with BBQ grills. The well-run association has $8 million in reserves. There has never been a special assessment. Rental parking for you and your guests available on site. Easy access to the lake, museums and Michigan Ave.